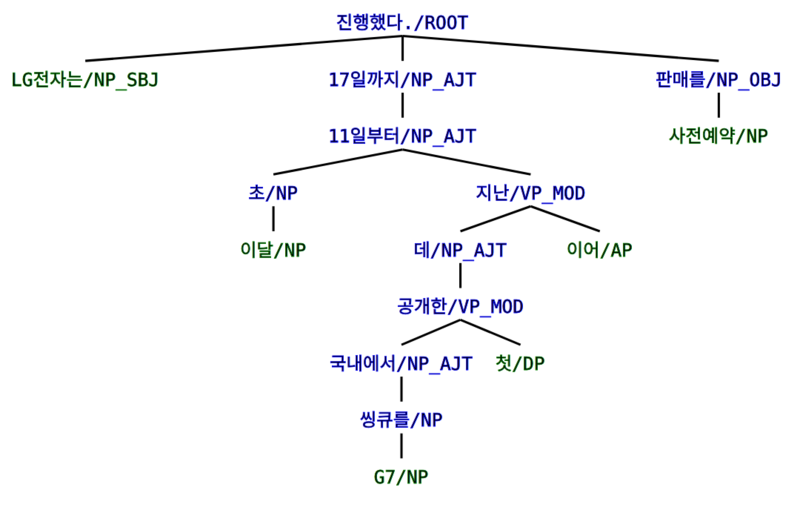 A character-level morphological analyzer and part-of-speech tagger for Korean with state-of-the-art (2018) OOV tagging accuracy amongst models without prior linguistic knowledge of Korean. 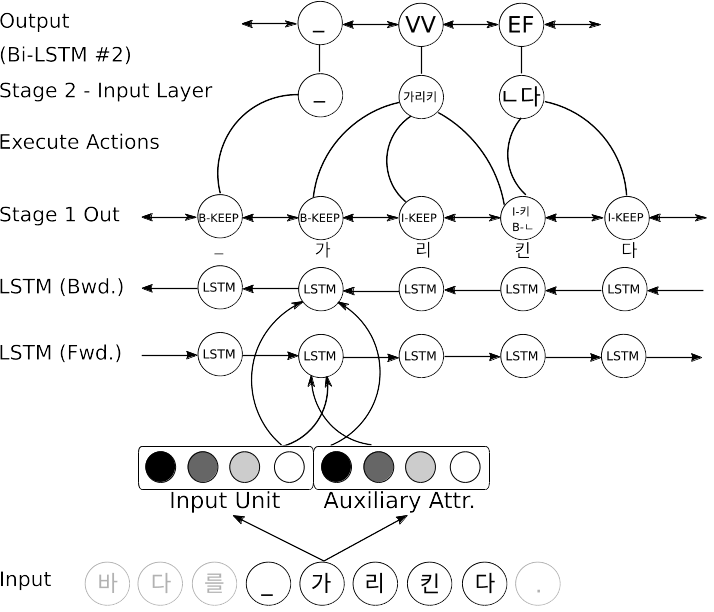 This is a Korean neural-network based dependency parser trained using Google SyntaxNet. This demo uses Komoran 3 for morphological analysis and POS tagging, which is used as an input to SyntaxNet which performs dependency parsing. Dependency parsing determines dependencies among words in a sentence, which can pave the way for sentiment analysis and could also be used to improve machine translation. The generated SyntaxNet file is then passed through a tree visualization tool and output in SVG format.